As featured in the Los Angeles Times, the Design Bureau 100, and the Subaru 2015 Legacy Spotlight - Design & Architecture video short. 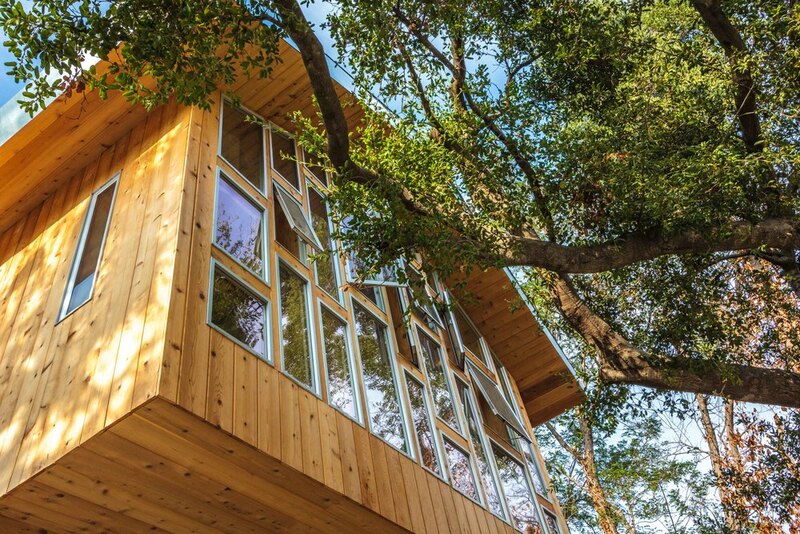 It was envisioned as a treehouse engaging mountain views and a prominent oak tree at the front of the site. The glass wall is operable to provide natural cooling and enhance the sense of being in the tree. A detail of the natural wood exterior finish. The project as approached from the street. 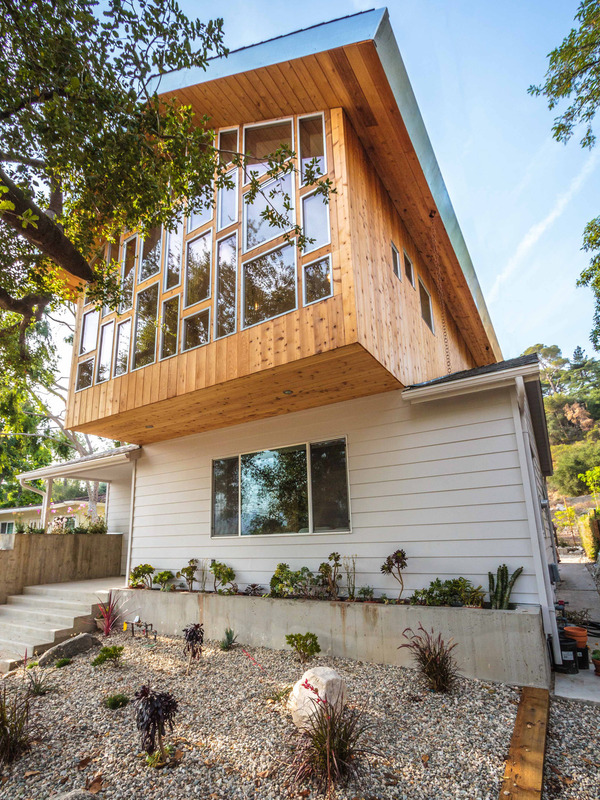 A view of the entry illustrating the relationship of the cantilevered bedroom to the oak tree and the new landscaping and entry sequence below. The new dining room and upstairs bedroom as seen from the rear. A view of the new dining room and the light cascading from upstairs. A view at the top of the stairs looking into the master bedroom. An interior view of the window wall. And how it creates the illusion of sleeping in a treehouse.